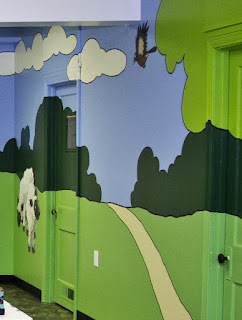 like this, but our kids loved it. Here is the script. So the first thing I did was to make one of our kid's rooms into the field where the shepherds were. 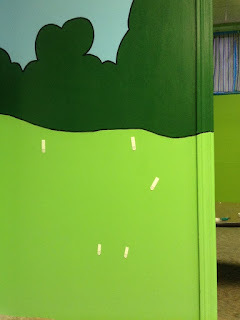 I used some leftover green bulletin board paper for grass. The cartoon like sheep came from Creative for Kids. They are wall stickers which can be re-positioned. I mounted mine on core-board and use command strips to put it up. Normally these sheep are part of the wall murals in our main room. You can see the command strips I use. The newer version Creative for Kids makes can be moved over and over again, so mounting them and the command strips are no longer necessary. 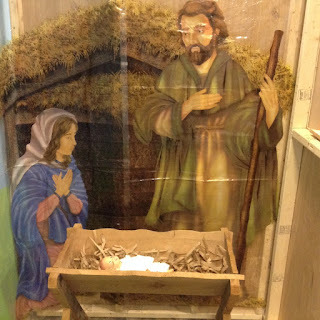 Next, I found some old Christmas scene-setters. 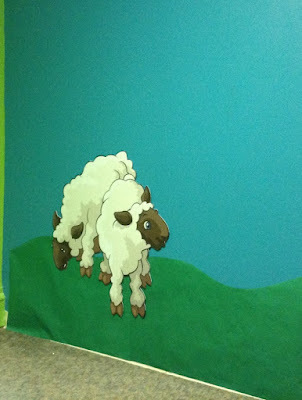 I used the shepherd and the sheep to add to my hillside. 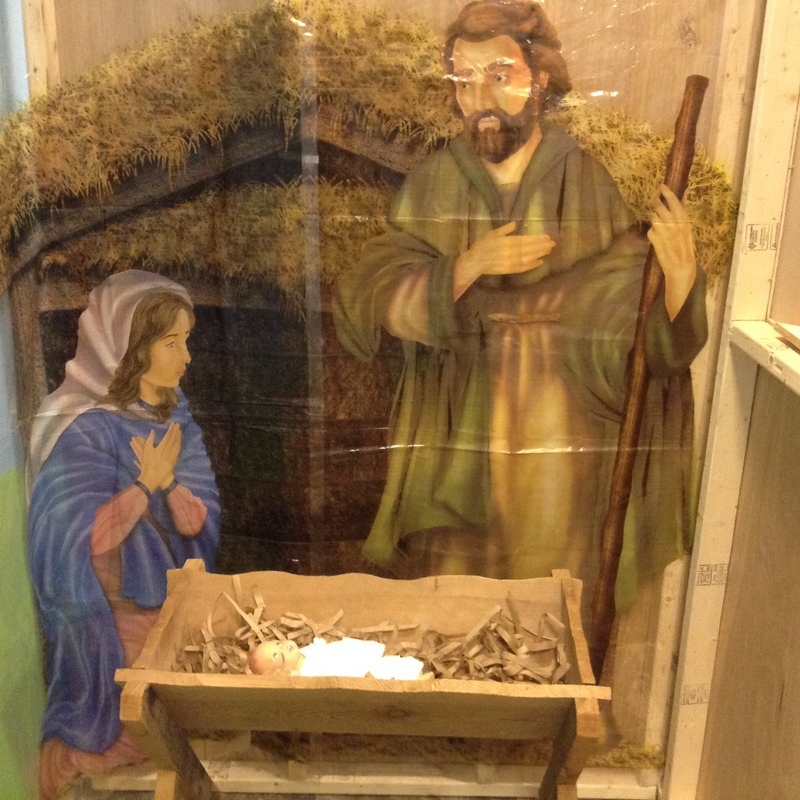 Oriental Trading has some great Design-A-Room sets for the Christmas nativity. 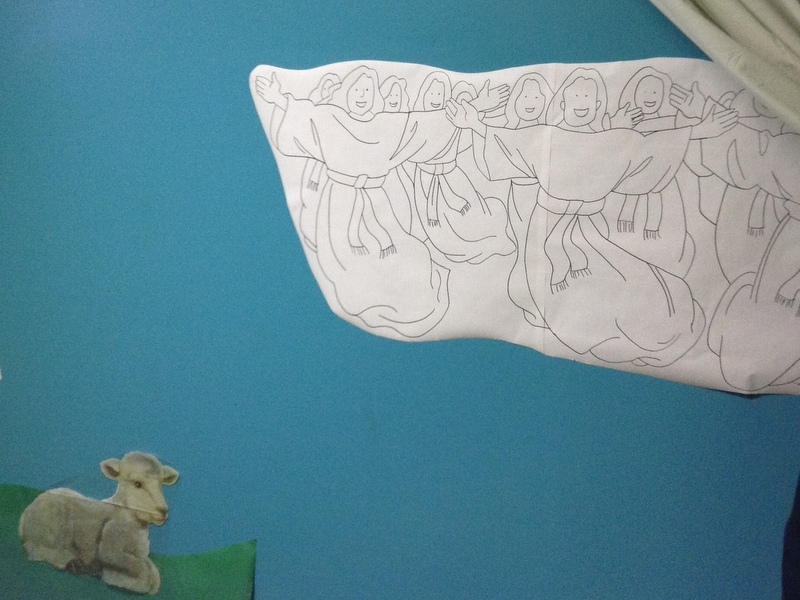 The curtain hanging to the right is hiding the heavenly host of angels. 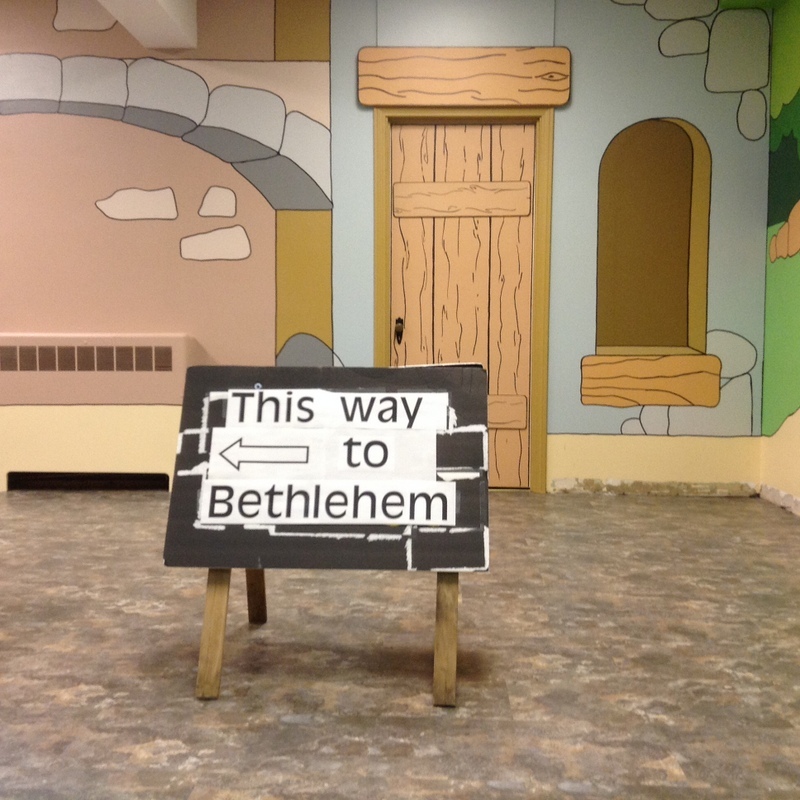 I was fortunate to have over 20 feet of this Bethlehem Town Design-A-Room Background left from a previous project. It actually stuck to the wall because of static electricity. Unfortunately, I did not get a picture of it before it fell down - but it lasted for over a week. 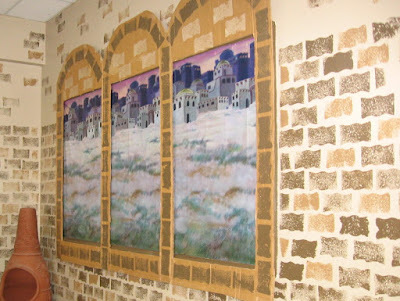 I wrapped it around the other 2 walls of the room and it felt like we were on a hillside outside of Bethlehem. 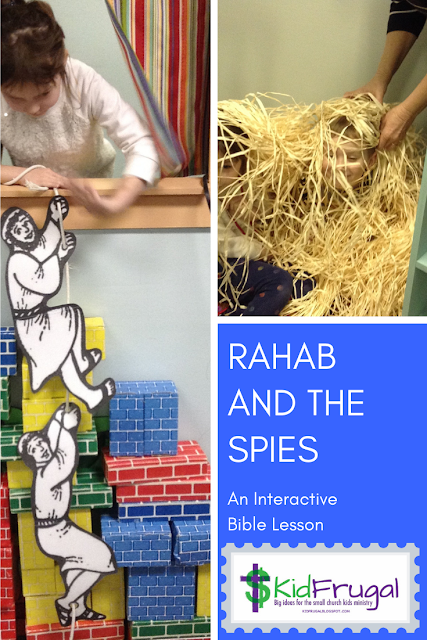 We followed the biblical account in Luke very carefully. After the angels pronouncement, we decided we should go to Bethlehem and see this thing which they had told us about. And how do you find Bethlehem? This old garage sale sign came in handy for that. 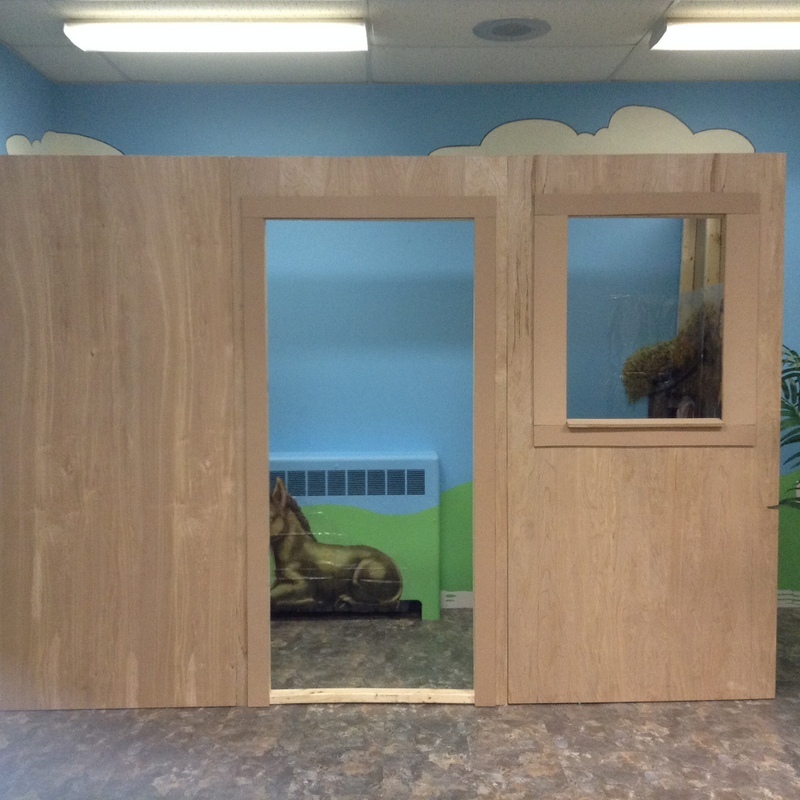 I used the rest of the plastic wall scenery in the "stable." 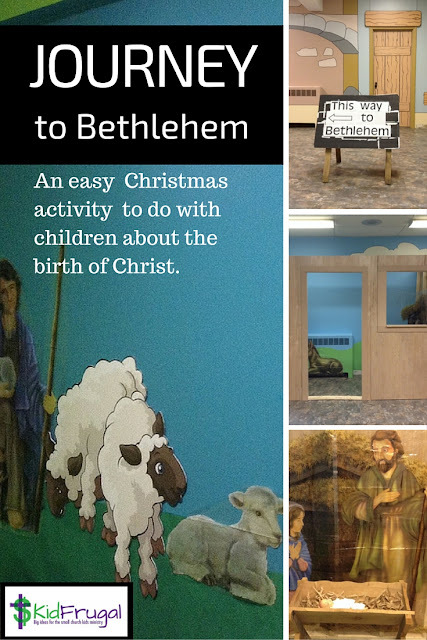 The manger is from our Christmas programs in the past, and I borrowed the baby doll from the nursery. I cut up brown packaging paper on the paper cutter to make the "hay" for in the manger. 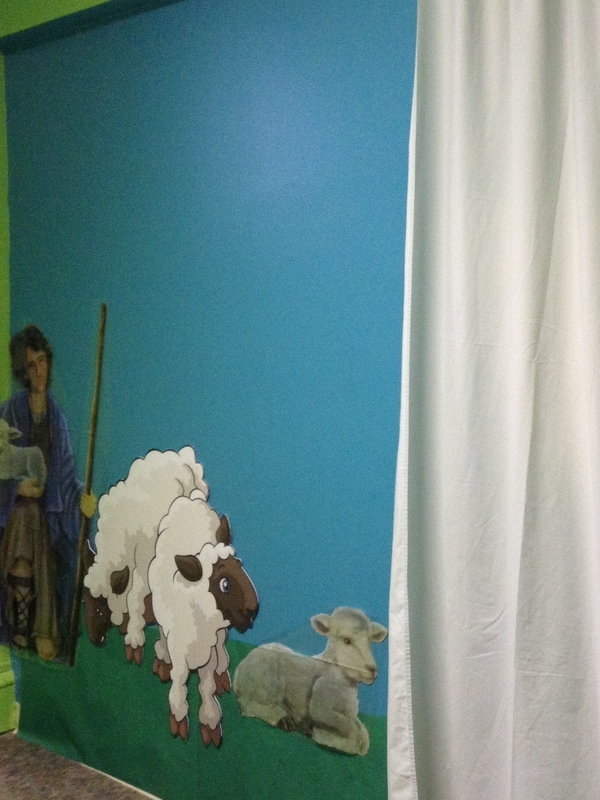 I tore an old sheet into strips to wrap the baby Jesus in. 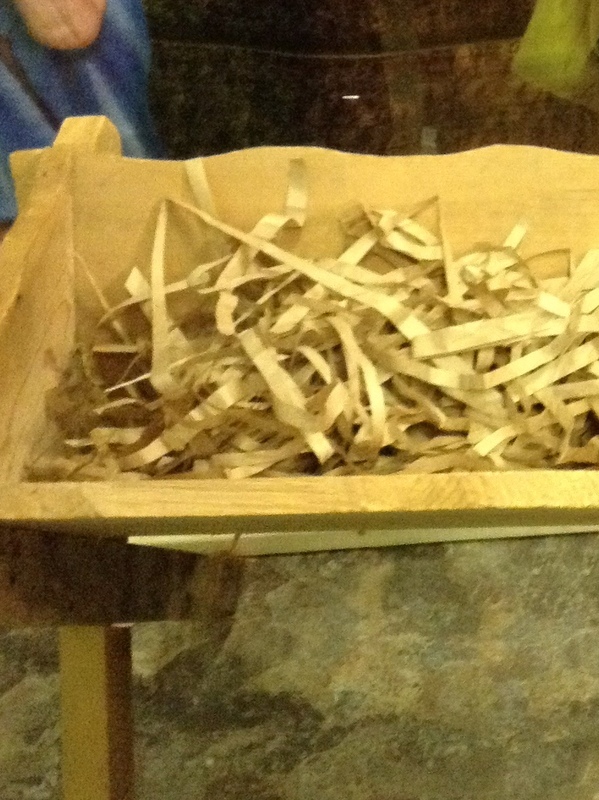 Those were the 2 main clues in the script to help us find the baby - a manger, and swaddling clothes. Here is the script in case you missed it up above. Cost? Nothing, since we had everything on hand.